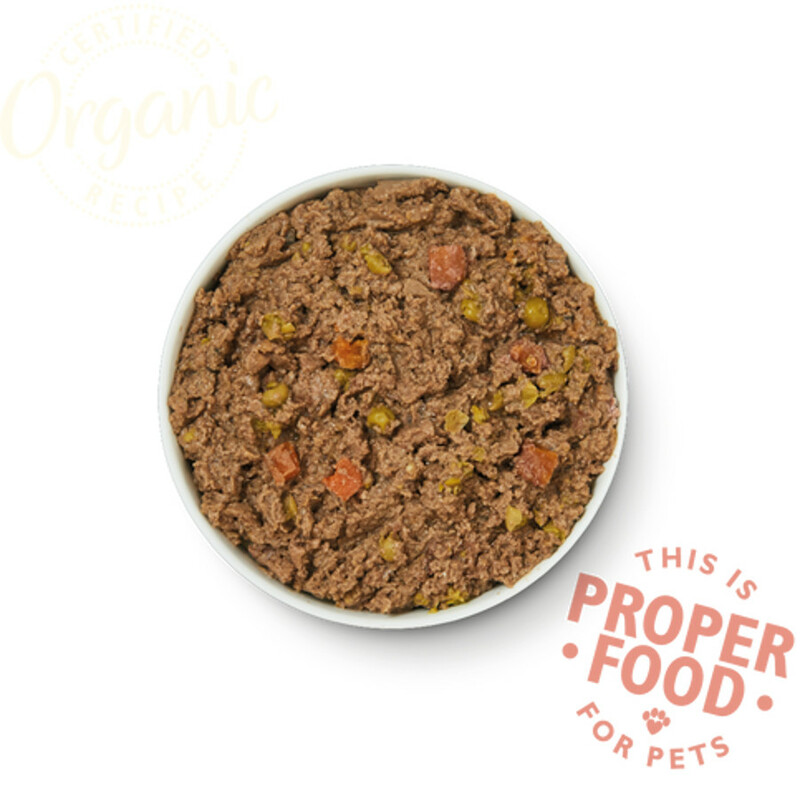 Freshly prepared beef and pork mixed with spelt, peas and carrots make a hearty and organic meal for your dog. A selection of botanic herbs and essential vitamins and minerals are also included in this wet food to give your pet a healthy diet. Only real meat is used, which means no rendered animal parts; carcass or derivatives, nothing genetically modified, no artificial preservatives, colours or sweeteners are included. Neither is wheat, corn or soya – Lily’s Kitchen use only nutritious meats, grains, herbs, fruit and vegetables to create a mouth-watering and digestible food for your pet. Suitable for adult & senior dogs and puppies 4 months+. 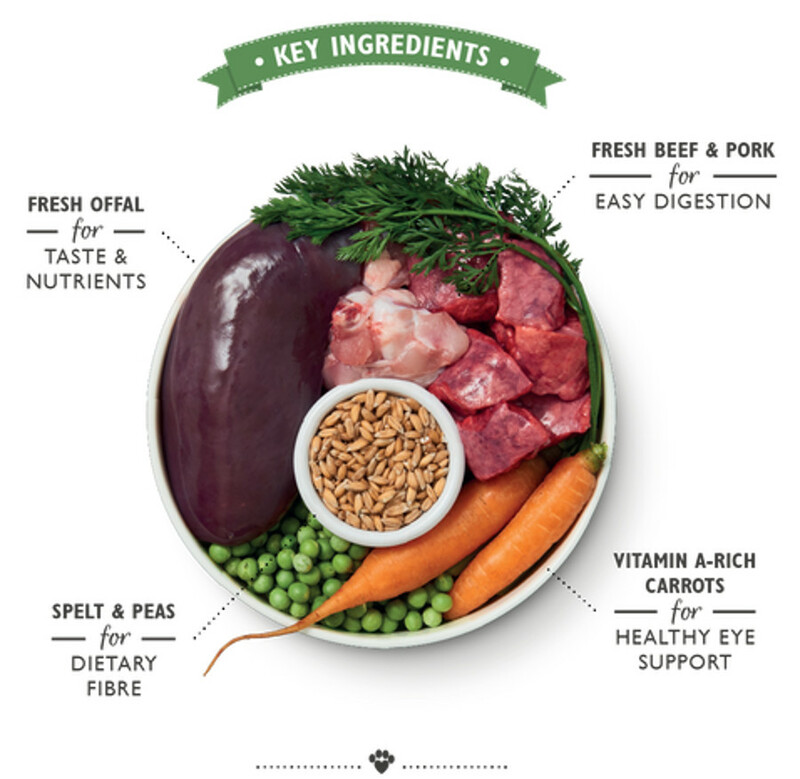 Produced from 100% Controlled Organic Farming Freshly Prepared: Organic Beef (50%), Organic Pork (5%), Vegetables 4% (Organic Carrots and Organic Peas), Organic Spelt, Organic Alfalfa, Organic Cleavers, Organic Spirulina, Organic Kelp, Vitamins and Minerals. 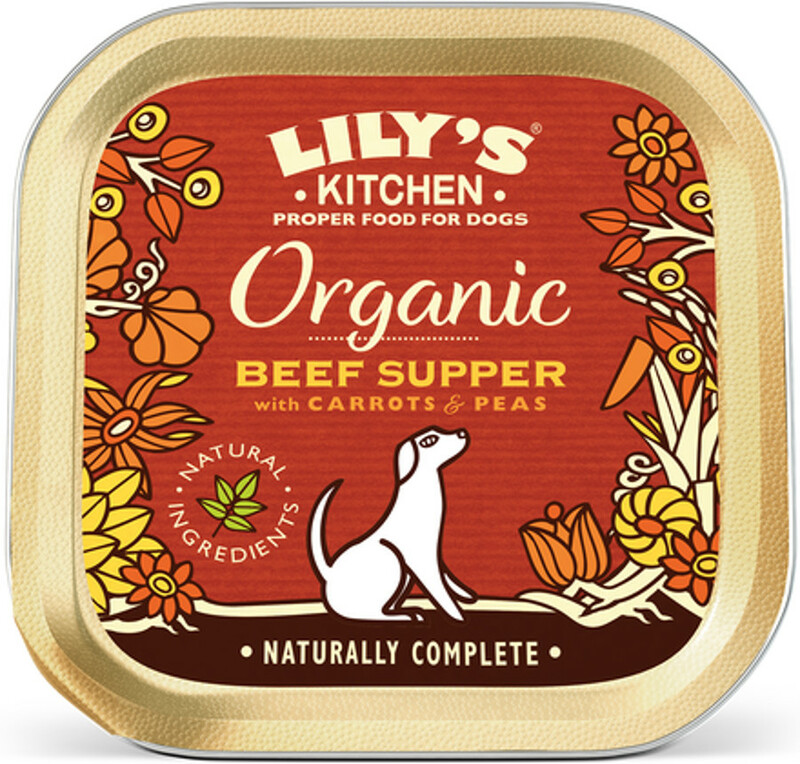 The Lily's Kitchen Organic Beef & Spelt Dinner For Dogs - 150g product ethics are indicated below. To learn more about these product ethics and to see related products, follow the links below. 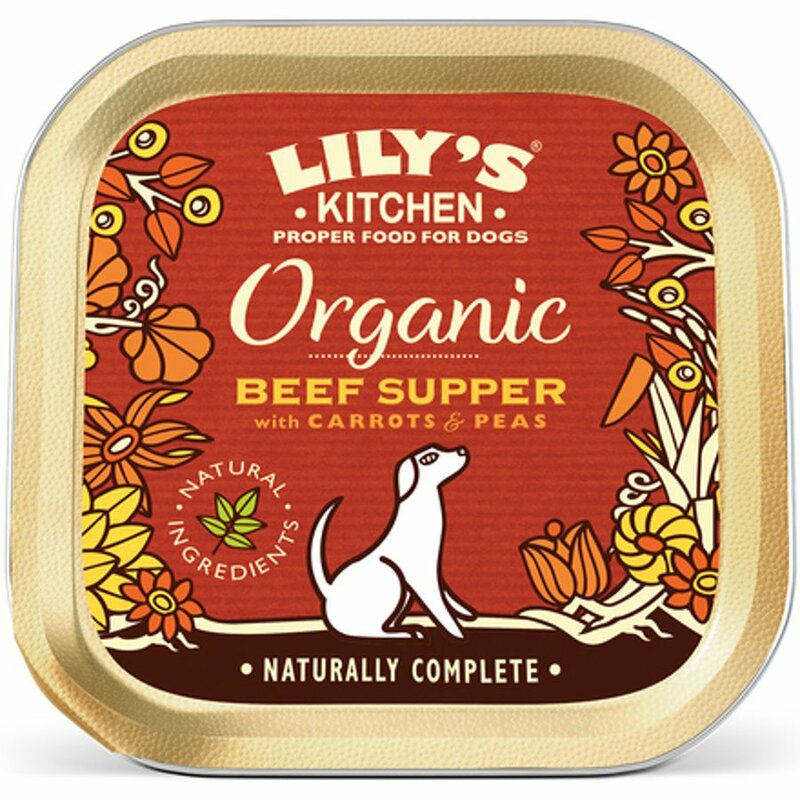 There are currently no questions to display about Lily's Kitchen Organic Beef & Spelt Dinner For Dogs - 150g.